Ubuntu users are adept at fishing for tutorials and how-tos. Between the official Ubuntu help page , the Ubuntu Forums and our very own MakeUseOf Ubuntu Bible, almost any problem can be solved. Almost. Recently I tried setting up the laptop computer in my office to share its wireless Internet connection via Ethernet How To Make Your Own Ethernet Cables How To Make Your Own Ethernet Cables Read More . That might be a little confusing, so allow me to expand. I work for a carbon neutral computer repair company so I regularly have people’s computers at my house. I work on these computers in my office, where I don’t have a wired connection to the Internet. I do however have a wireless connection and a Ubuntu laptop on my work desk that connects to the Internet. What I wanted to do was plug my client’s computers into my laptop and have them access the Internet. When I tried to search for how to share your wireless connection in this way, I mainly found a series of cryptic instructions – often revolving around the excellent Firestarter firewall ““ none of which worked for me on Ubuntu 9.10. But don’t worry – there is a simple way to do this, and I figured it out accidently while following all the various sets of instructions I found. 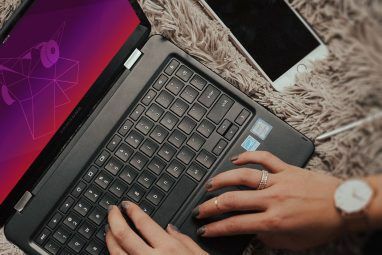 As a service to the Ubuntu community, here is a simple step-by-step guide on how to share your wireless connection via your ethernet port in Ubuntu. Alternatively you can create a new connection by clicking “Add” but I found it simplest to just change the default. Just be sure to remember that you changed this setting in case you ever want to use your Ethernet port to access the Internet again, because you will have to change it back to do so. Here’s where stuff starts to look confusing, but don’t panic: it’s not that bad. Click the “IPv4 Settings” tab. 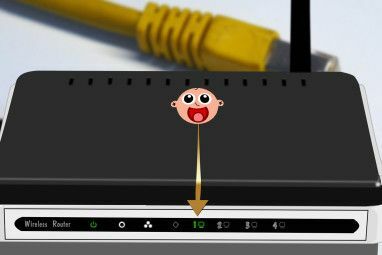 Beside the word “Method:” there is a drop-down menu that allows you to pick the manner in which your Ethernet device connects to the network. Select the “Shared to other computers” setting. Restart your computer. 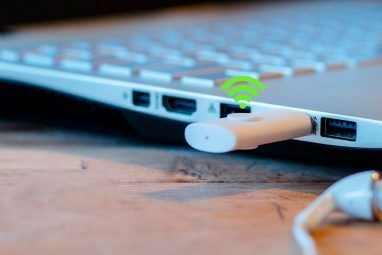 Assuming everything applied correctly, you should now be able to connect any computer to the Internet via your laptop’s Ethernet port. That’s certainly quite a bit easier than the methods I found by searching for how to share your wireless connection. So why did my exploration of the forums and the numerous other resources available to Ubuntu users not point this out? Well, as far as I can tell, network sharing’s only been this easy since the release of Ubuntu 9.10. No one’s asked for help regarding this since, so there’s no new information on the forum, or the wikis, or the various Ubuntu blogs about it. This shows that there is a limit to what you can learn about using an operating system from forums. Sharing a network connection is far easier now than it was 6 months ago, but because no one is asking for help on the forums I couldn’t find any evidence that doing so is easier now – I saw only the cryptic instructions of yesteryear. Know that I don’t mean to criticize the excellent Ubuntu community for their lack of support; on the contrary that community is the main reason I use Ubuntu. I just think this is a good example of a relatively simple task you can’t really learn by searching the forum. What do you think? 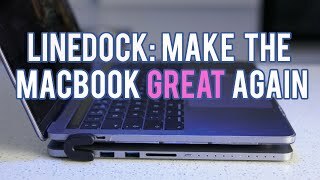 Is there a better way for the Ubuntu community to make finding tutorials like this easy to find? If so, what is it? Let’s discuss this in the comments. Explore more about: Computer Networks, Ubuntu, Wi-Fi. Cool, now I don't need to buy a wireless adapter to connect my Xbox 360 to the internet. Never though I'd see such a seamless integration between Ubuntu and Microsoft. God bless you, Justin! Happy 2010! This is cool and easy to setup and no need for wireless router. What about the type of cable? A straight through or a cross over? Just Curiosity. What that HP Icon at the first image? The first image in the article has nothing to do with HP: it's the Ubuntu icon. I would like to know how i can a laptop's wifi connection. The laptop itself is connected via a wire. Can i set the laptop to send out a wifi signal and then connect to the internet via that? I have tried firestarter...but cant get it working! You added to restart the computer? ... Really? This is not windows we're talking about people. Once you apply a setting in Linux, its done and works without rebooting. I'm just adding this bit because its something that should be said. wouldnt you share the wireless adapter. this is back to front by my logic. but if it works, no wonder this is news?? i have 2 lan and 1 wifi connection how to share internet from 1 lan to other connection(lan + wifi)? You still need a crossover cable to this this, right? You should probably edit that in to avoid confusion. I've tried without a crossover cable, and t just doesn't work :P It works with ym crossover cable though. You would use a crossover cable to connect the wireless computer to the piggybacker, right? Just checking before I go to the trouble of buying/making a crossover myself. Oh, 3G wireless, not WIFI - sorry, I get it now! You could always plug the ethernet cable you are using from the laptop to the client's machine, and plug it into your wireless router - I have yet to hear of one without an RJ45 port... ? Then you could use DHCP, and get maximum speed. Excellent post!, Is this a new feature of ubuntu 9.10? It's not a new feature that was listed, but I'm assuming it's something that was improved upstream. 9.04 certainly wasn't this easy. "9.04 certainly wasnâ€™t this easy." -> Yes, it was/is. I'm still on 9.04 and you can do that the exact same way. But thanks for sharing anyway. Its a new feature in the updated network manager Gnome 2.28, 9.10 made the switch from Gnome 2.26 that 9.04 had used, which is why something like this is not in the 9.10 release notes exactly - it would be in the network manager update notes. The problem is no one ever pays too much attention to the release notes section when new releases come out. This is true for most things that get updated regularly.